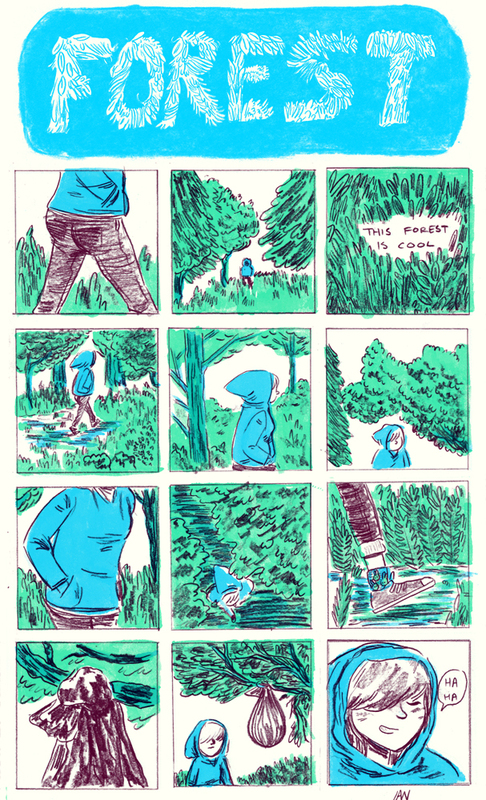 started drawing this as just six panels of a girl wandering through the forest just to try drawing a forest instead of just tall grass, meant to only take a few minutes up ended up turning into a 5+ hour project, oh well I like how it turned out, there are some other color schemes, haven’t really settled on that part yet. i love this! who are you? glad i found yer website. your comics and artwork are great!